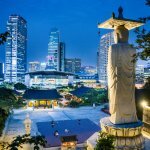 South Korea is a food lover's paradise with a multitude of options to satisfy any appetite. 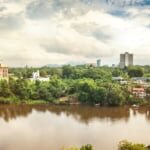 With an abundance of delicious dishes to delight anyone's taste buds from street food vendors to world-famous Korean barbecue and beyond, it's so hard to choose the top dishes from this gastronomic paradise. We had to try however so here are eleven dishes you really can't go wrong with trying. Naengmyeon are Korean cold buckwheat noodles and a super refreshing dish to eat in the summer or at the end of a heavy barbecue session to cleanse the palate. 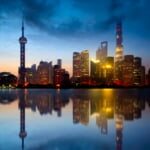 The noodles are usually served with a variety of vegetables, cold slices of beef, and often a hard-boiled egg. 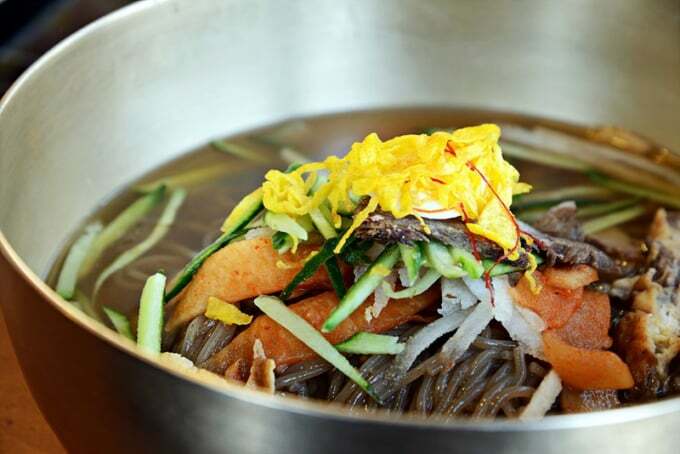 There are two types of naengmyeon; mul naengmyeon or "water" naengmyeon -originating from North Korea- is served in a tangy meat or kimchi-flavoured iced broth. Bibim naengmyeon or "mixed" naengmyeon has no broth and is covered in gojuchang chili paste sauce instead. Both are delicious options however, and well worth a try. This heavenly Korean-style stew comes from the city of Andong, although you'll likely find it all over the country. This dish started to became popular in the 1980s-1990s as Andong became famous and known as a tourism center for traditional culture and folk traditions. 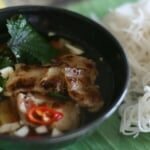 Chopped pieces of chicken are boiled briefly in water and then braised in a sauce consisting of various condiments and spices such as soy sauce, ginger and rice wine to make a delicious and super tasty broth. Next root vegetables such as potatoes, carrots and onions are added followed by other ingredients like mushrooms and cellophane noodles, usually all ingredients that are added will soak up the super flavorful sauce. 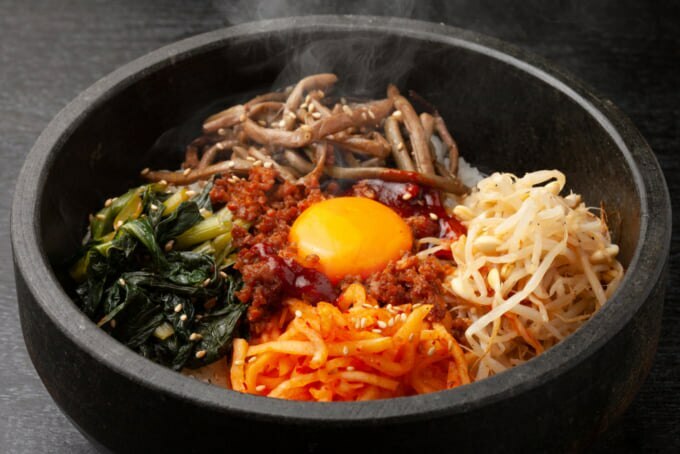 One of the most popular meals among foreigners and locals alike, bibimbap means mixed rice. 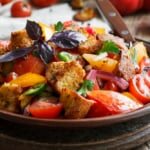 The dish is first prepared with white rice with all the ingredients beautifully laid out on top, often creating a super picture-perfect image. 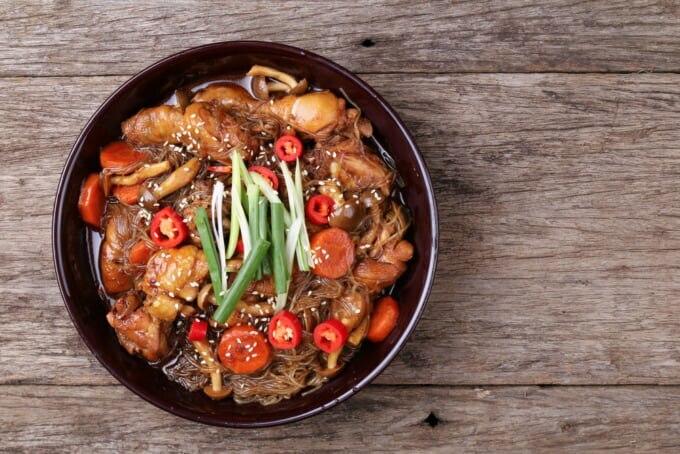 Ingredients are usually a range of vegetables like carrots, mushrooms, bean sprouts and kimchi with a choice of meat, usually beef. Gochujang chili paste is served on the side to add some spice to the dish according to your taste, we'd recommend using a healthy dollop and mixing it all together. 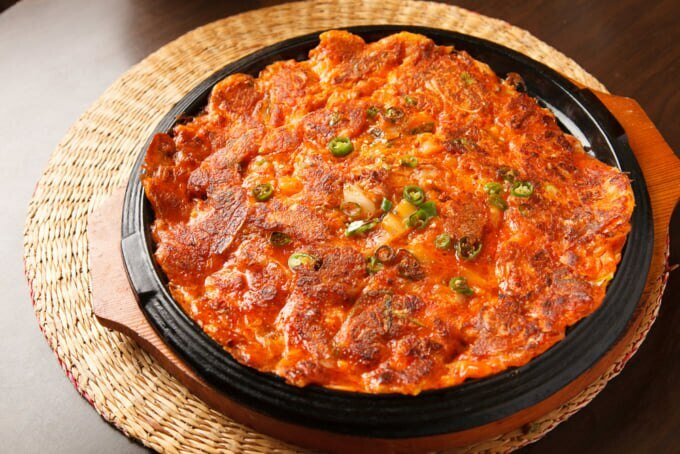 Kimchi-buchimgae or also known as kimchi pancakes are made with an egg and rice flour batter mixed with kimchi. Usually an extra helping of kimchi brine is added to the pancakes for added flavor and a more uniform red color. While it might look quite spicy, compared to most Korean dishes this is quite mild albeit with an umami bomb of flavor from the kimchi and seasoning. The addition of rice flour also gives the pancakes a dense and chewy yet crispy texture that makes people always feeling the need to reach for more. South Korea has whole range of local pancakes on offer, often called pajeon, such as mung-bean and seafood pancakes. We'd recommend heading to Gwangjang Market in Seoul for a delicious spread of these mouth-watering bites. Bulgogi literally means fire meat due to the cooking method of grilling over flames. 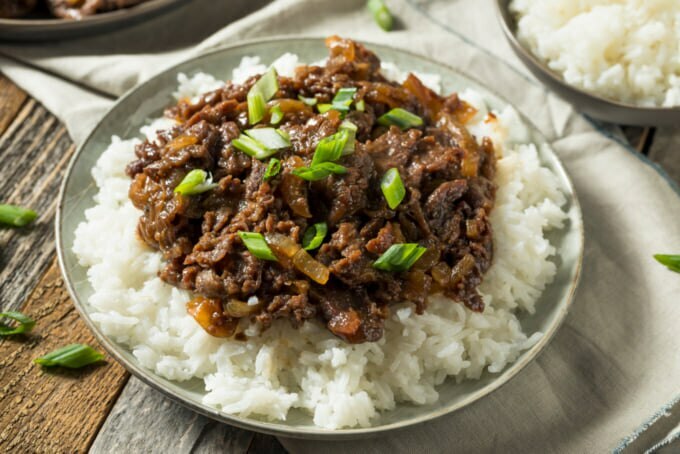 Bulgogi are thin boneless beef strips marinated in a sweet soy sauce mixed with sesame oil, sugar, and sometimes Korean pear and ginger to give it a slightly sweeter taste. 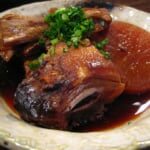 It’s usually served with rice or in Korean barbecue with lettuce wrapped around the meat. A wonderful balance of sweet and savory, this dish shows how well Korean food can mix different flavors to create something scrumptiously tasty. 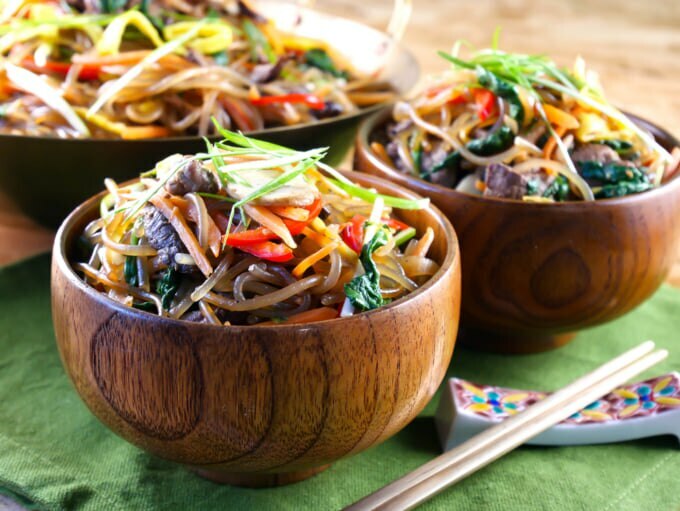 Japchae is usually a side dish comprised of cellophane or sweet potato noodles stir-fried with meats, vegetables, soy sauce, and sesame oil. The noodles appear clear and are slightly chewier than your regular wheat or rice-based noodles. 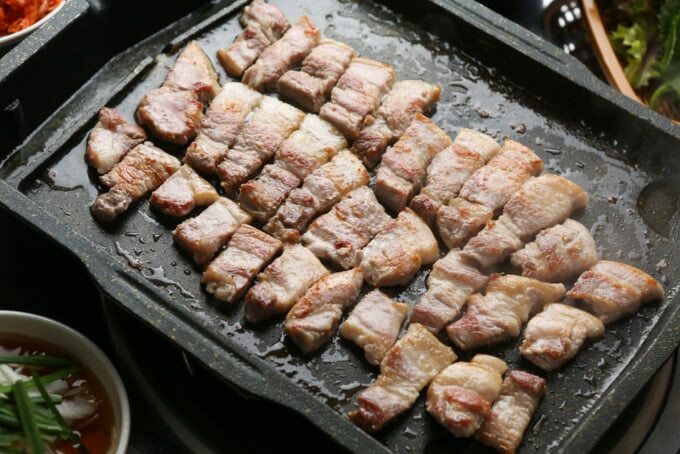 Samgyeopsal is grilled Korean pork belly and usually a staple dish to order at Korean barbecues. Usually grilled with onions and garlic, the pork is then dipped ina mix of salt pepper and sesame oil or a spicy paste called ssamjang. After flavoring the meat, wrap it up in lettuce and perilla leaves. The fatty grilled pork combined with the fresh juicy leaves is a match made in heaven, if you've never tried it before you'll soon realize just why Korean barbecue has become so popular. 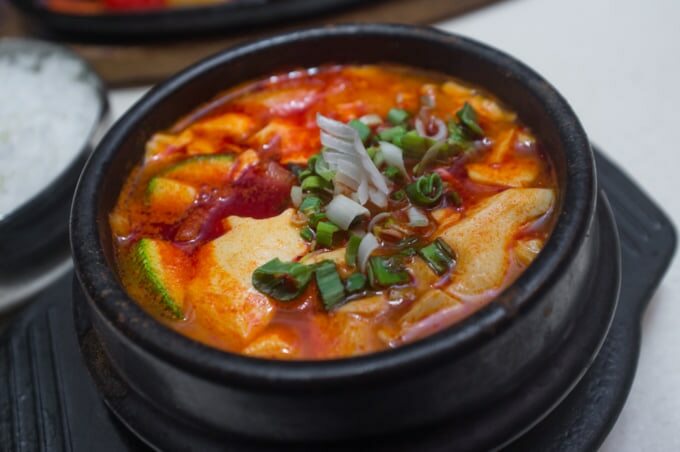 Sundubu-jjigae is a spicy Korean stew made with super soft tofu and flavored with Gochujang chili paste, seafood, beef and often kimchi. 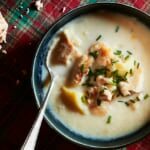 It's usually served bubbling hot and with an egg for you to crack open and cook in the stew. 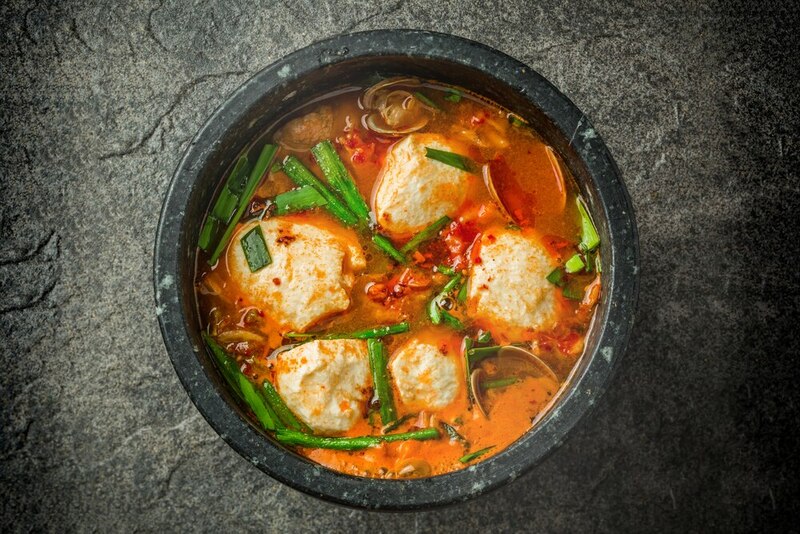 The tofu used is usually freshly curdled and super silky, combining perfectly with the spicy, flavorful broth it's served in. 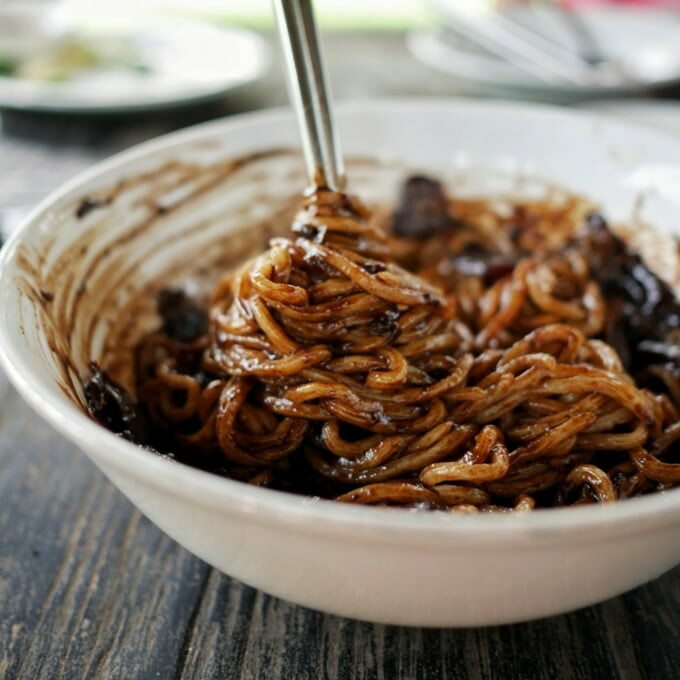 Similar to the Chinese dish of zhajiangmian, the Korean version is covered in a thicker, darker black bean sauce that's usually fermented. While both versions are equally tasty, we find the Korean version to be taken a step further, bursting with umami flavor. Super quick to make, this super flavorful dish is Korean fast food at its best. 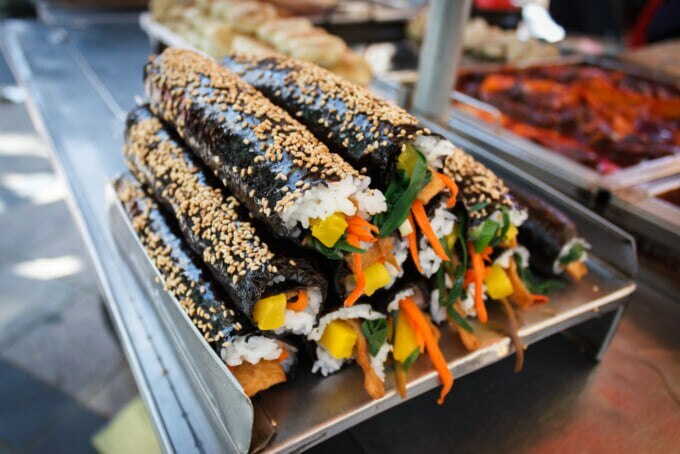 Gimbap is often referred to as Korean sushi but is more of a sandwich and usually used as a quick meal or snack for on the go. It was adapted from Japanese sushi during the Japanese occupation of Korea. However, the main difference between this and the Japanese version is all the ingredients are fully cooked so there’s no raw fish in this dish. Rice, pickled and cooked vegetables, and often cooked meat are rolled tightly into a seaweed roll and then sliced or served as is. This quintessential dish is found everywhere and at every meal in Korea. 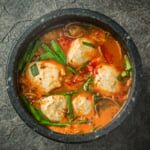 While most people have tried this spicy fermented dish before, most are surprised at the difference in taste when sampling it in the country of origin. Each restaurant or family usually has their own kimchi recipe, changing various aspects with the seasoning or fermentation time to make it exactly to their taste. Most commonly made with cabbage, often radish, cucumbers or other vegetables are used too. While these are some of our favorite Korean dishes, we've only touched the tip of the iceberg here. 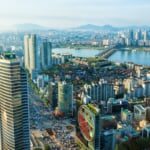 If you're planning a trip to South Korea, hit up the local food markets and follow your nose as you weave your way around one of the most delicious and mouth-watering cuisines on the planet.